This micro-landscape was taken on the trail up Mt. Olga at Molly Stark State Park, east of Wilmington, Vermont. This trail leads to an abandoned fire watch tower that provides spectacular views of much of south-central Vermont. Again, this was shot as found -- I consider it "cheating" to pose elements for my photographs and never do it. The title of this image comes from "Songs in Red and Gray" by Suzanne Vega, which I had recently purchased before the hike in question. 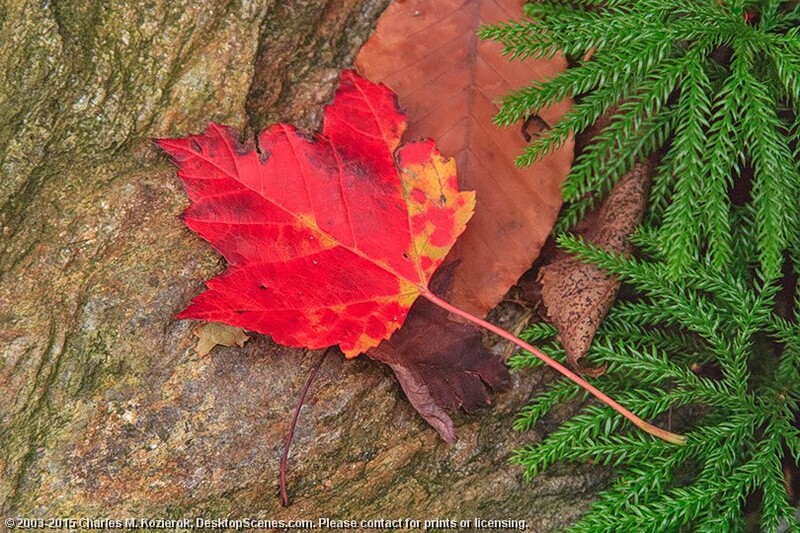 Its lyrics contain a line about a red leaf and gray stone, which popped into mind immediately when I saw this.